Just a link to a very interesting article. There are so many issues to balance in nationwide food debates. 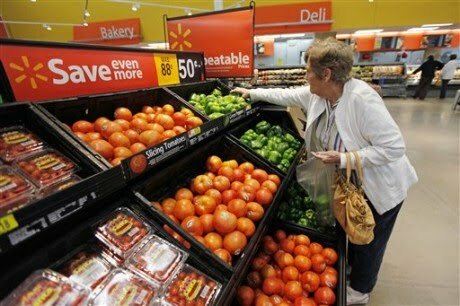 There is a knee-jerk reaction against big corporate entities, especially ones with terrible workplace practices, like Walmart, but getting the huge food system to adapt and change is important too. Costco, the legend of huge sizes and relatively upscale bargains, is known for its produce and fresh food, some of it organic. The will of these giants, with their eye on the bottom line, may be what is needed to get organic or locally farmed food into the nationwide distribution system. At the end of the day, access to fresh food at affordable prices is critically important. Strange, but true, that a mega-store may be the one that can make local, organic, fresh food the norm versus a luxury.